What is the Rock Tour? 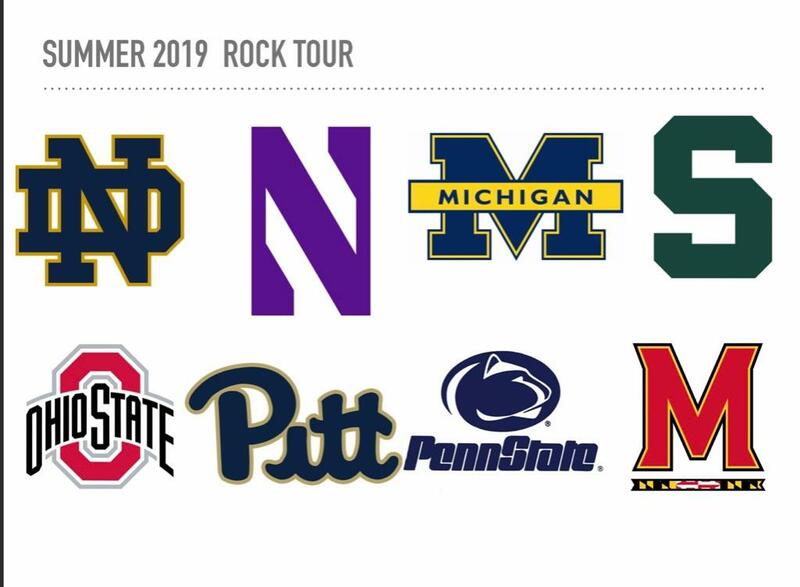 The Rock tour is a all inclusive 7 night tour that travels from college campus to college campus. Athletes will be able to be coached and scouted by college footballs most prolific programs. 40 athlete seats are available on a luxury charter bus that will take athletes and (20) parents on this once in a lifetime football adventure. This tour has produced multiple scholarship opportunities for players and friendships that last a lifetime. The tour will also include four former collegiate players who will serve as tour captains and staff. Tour will run 7 of those days, logistics are still being worked out as to official start and end dates. Tour will be a go based on registration by feb1. Insurance for the event will be available. Cancellation until May 1 and will result in a 700$ charge.